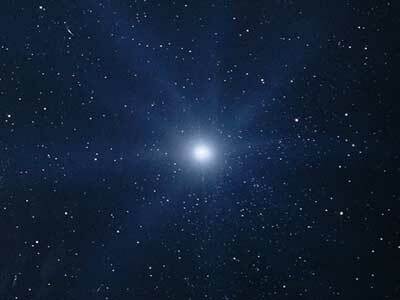 White Dwarf Star - Universe Galaxies And Stars Section. Scientists from the United Kingdom, Germany and the USA focused two of NASA's space telescopes, the Chandra X-ray observatory and the Far Ultraviolet Spectroscopic Explorer (FUSE), onto H1504+65 to probe its composition and measure its temperature. The data revealed that the stellar surface is extremely hot, 200,000 degrees, and is virtually free of Hydrogen and helium, something never before observed in any star. Instead, the surface is composed mainly of carbon and oxygen, the 'ashes' of the fusion of helium in a nuclear reactor. An important question we must answer is why has this unique star lost the Hydrogen and helium, which usually hide thestellar interior from our view?